With temperatures soaring off the roof it only means one thing-summer has officially arrived. While there is not much one can do about the oppressive heat and stifling humidity, what you can do is, enjoy Mother Nature and fashion’s bounty that the season has to offer. Talking about fashion’s bounty, sometime back I was invited to attended Max Fashion's Summer 2015 preview fashion show, Max Fashion Play. From summer favourites, florals, to flavour of the season, tropical prints, and from tribal motifs to boho inspirations, the collection is summer season’s poster child. In a nutshell- the collection is right on trend. Known for its affordable price point, what I also love and appreciate about Max Fashion is, the pieces are very flexible and versatile. They are hassle free, easy to use garments that can effortlessly be styled in multiple ways for different occasion. Since the theme of the preview was Fashion Play, I decided to play mix and match and style some of my fave Max Fashion's Summer 2015 collection pieces in four different genres. Print Mix: Mixing prints and patterns has been a fashion favourite for quite a few years. 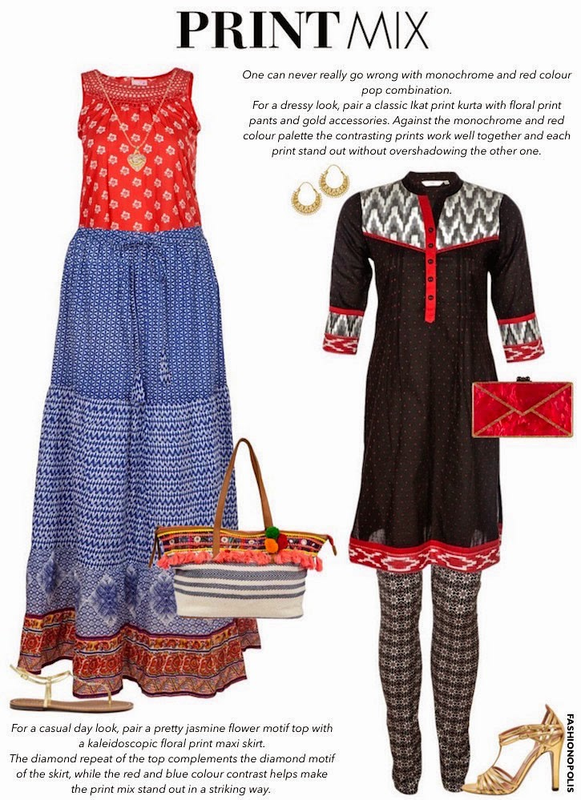 Max Fashion’s Summer 2015 collection offers a plethora of prints to choose from. Flowers, fruits, birds, Aztec, digital, and geometrical design, there is something of each kind. 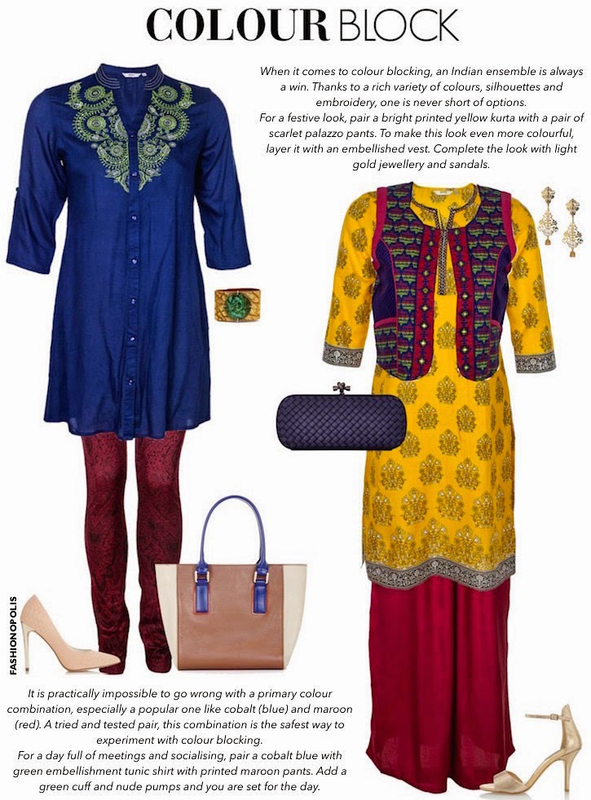 Indo Western: Indo Western attire is one of the most popular styling preference across the country. 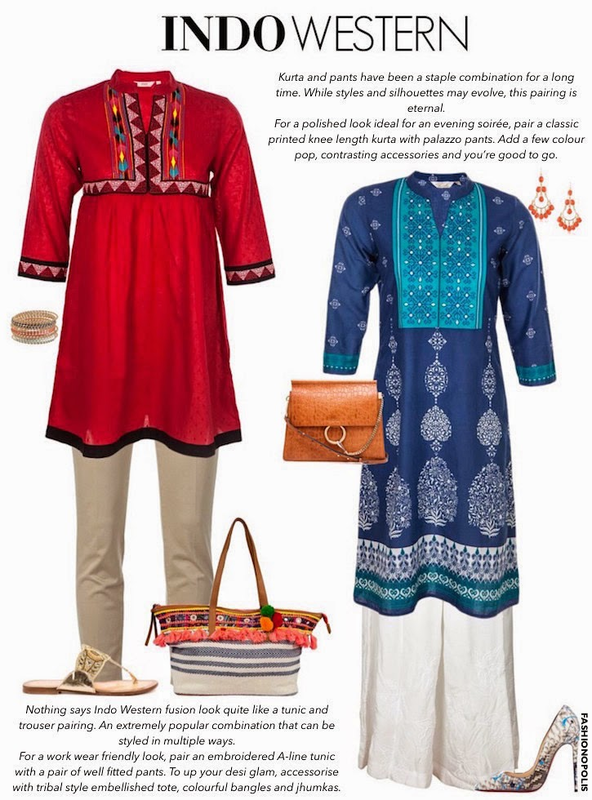 Along with dress, pants, skirts and shorts, the collection offers a vast variety of kurtas, tunics, salwars and churidars, making the collection very fusion wear friendly. Silhouette Mix: While most times we like to mix prints and colours, it is fun to once in a while mix shapes and structure. Keeping the season in mind a large percentage of the collection is free flowing silhouettes while a few are fitted and structured. From boxy capes to fitted churidar to A-Line kurtas and airy maxis, there is a wide variety of silhouettes to select from. Colour Block: Summer is incomplete without its share of fresh, bright colours. Max Fashion Summer 2015 collection offers everything from bold jewel tones to earthy neutrals to soft pastels. At the Max Fashion Play event I had an opportunity to style a look from Max Fashion’s Summer 2015 collection. I went with a classic summer theme look pairing a colour block dress with an aztec design backpack and lace and fringe shrug. Max Fashion Summer 2015 collection is now available across the country.